I am deeply disturbed by the awful scenes of suffering in Venezuela as a result of the Maduro regime’s reckless mismanagement, with families resorting to eating rotting food to try to survive. UK aid will provide life-saving treatment to malnourished children, immunisations against deadly diseases and access to clean water and sanitation. While the UK has stepped up by providing urgent relief, all parties must immediately recognise the severity of the crisis and allow unhindered access for aid agencies. help meet the immediate needs of those forced to flee Venezuela, who are at greater risk of exploitation, by offering migrants access to personal documentation and information on how to access basic services. Today’s announcement of £6.5 million is new funding from DFID’s crisis reserve. The money will support humanitarian agencies across the region. Given the difficulties agencies are already facing, and the Maduro regime’s denial of a humanitarian crisis, we are not disclosing those that we are supporting. 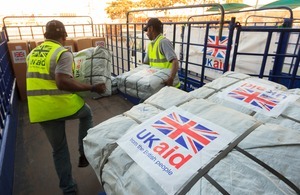 In addition to today’s new support, DFID already provides core funding to multilateral organisations on the ground which are providing emergency humanitarian relief as part of the international response in the region. The UN’s Central Emergency Response Fund, to which the UK was the largest donor in 2018, has allocated a total of US$26 million to the region for this crisis, including US$9 million within Venezuela.